Moomba Boats has been recognized for its 13th straight CSI customer satisfaction recognition from the National Marine Manufacturers Association (NMMA). The Marine Industry CSI Awards honor manufacturers that consistently achieve and maintain an independently-measured standard of excellence of 90 percent or higher in customer satisfaction over the past program year. The information is provided by customers who have purchased a new boat between January 1 and December 31, 2017. Moomba is focused on delivering the highest quality products at an entry level price point with the most standard features in its class. Moomba offers 5 models that provide all around value and fun for its customers. Skier’s Choice, Inc. is the proud manufacturer of Supra and Moomba performance inboard wakeboard and waterski towboats. Supra has been a leader in the inboard industry since 1980. The Supra brand is synonymous with innovative styling, luxurious interiors, highest construction quality, and unsurpassed wake performance. Moomba is a value-oriented brand that delivers quality and performance comparable to other inboard brands but at a price significantly less. 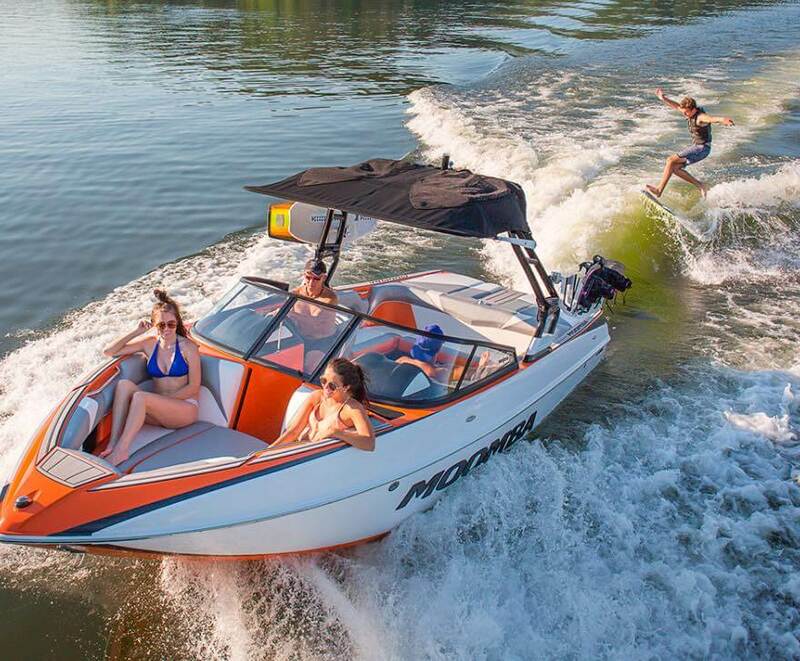 Moomba delivers the “best bang for the buck.” The company is privately held and is located in Maryville, Tennessee. Skier’s Choice encourages all boating participants to learn and follow safe boating practices. There are risks associated with boating and water sports activities. Be mindful of the risks, familiarize yourself with the environment, know your limits and conduct yourself accordingly. Ready to hit the water? Contact us today so that we can help you into the boat of your dreams. © 2019 Premier Watersports • All Rights Reserved. Please sign in or create an account to continue.